Welcome to the new 5 Star Auto Plaza Blog, where we will offer updates on our dealership news and information. 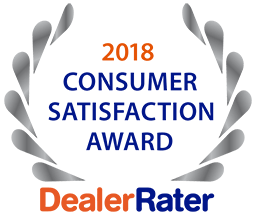 Serving the St. Charles area since 1997, our dealership strives to offer the best deals on used cars, trucks and SUV’s with great prices and superior service. In addition to our huge selection of used cars, we offer great financing options to our customers, regardless of their credit. Whether you have perfect credit, hindered credit, bankruptcy, repossession or foreclosures, we can get you financed with our guaranteed auto loan approval process. Our dealership also offers full service auto repair and service. From oil changes and routine maintenance to brakes, clutch and transmission repair, we can service just about any make and model of vehicle, and at a fraction of the cost of the OEM dealer service shops. Thanks again for visiting our Blog and feel free to contact us when you are ready to buy a used car, get guaranteed auto financing or need car service. With our team, you’re in great hands and we’ll make sure you’re well taken care of.